Gunmen in a Punjab village shot dead a member of the Ahmadi religious minority on Saturday, five days after a Muslim leader denounced Ahmadis on a popular television show. Luqman Ahad Shehzad was shot in the back of the head near Bhiri Shah Rehman village, a small community of Ahmadis in the Gujranwala district, said Saleemud Din, a spokesman of the community. He is the eleventh person killed for being Ahmadi in Pakistan this year. In 1974, a Pakistani law declared them non-Muslims and made it possible to jail Ahmadis for “posing as a Muslim” or “offending a Muslim’s feelings”. They are often denounced by Muslim clerics and targeted by violent extremists. Some clerics promise that killing Ahmadis earns the killer a place in heaven and distribute leaflets listing their home addresses. On Monday, Muslim leader Syed Arif Shah Owaisi appeared on a popular morning television show hosted by controversial host Aamir Liaquat Hussain. “This enemy is a common enemy and is an enemy of all of Pakistan. And this enemy is the sect of Qadiyani,” Owaisi said, using a derogatory term for Ahmadis. 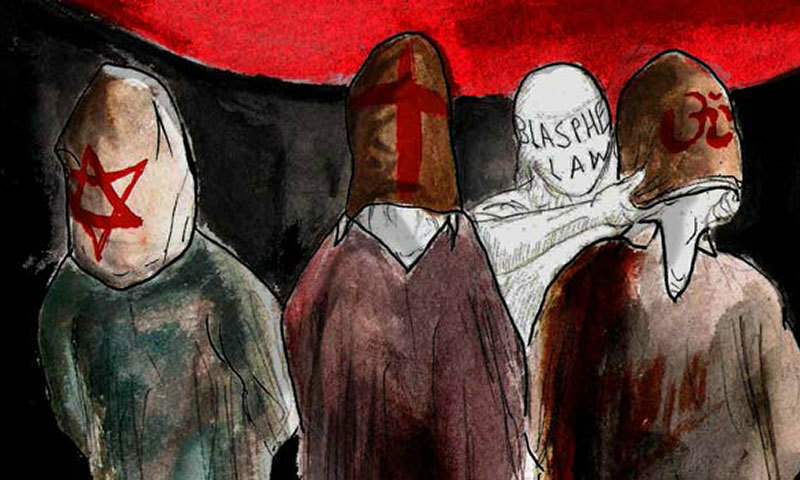 Blasphemy is punishable by death in Pakistan. Scores of people have been lynched after being accused of blasphemy. Saturday’s killing was the second time Hussain’s show has hosted religious leaders denouncing Ahmadis. In 2008, he hosted scholars who called for the Ahmadis to be killed. Within a day, two prominent Ahmadis had been shot dead. Amir Liaquat Hussain was not immediately available for comment. Aamir Liaquat i s a controversial figure. His shows must be banned.High time the Govt goes into the depth of the matter as to how such a matter was discussed and a remark passed to incite people to take law into their own hands. I am an average sunni Pakistani and I believe it is the responsibility of the govt to take of this matter. If the law does not protect them. give them resources to leave the country with respect and dignity. This country is still immature and will take years to build tolerance.